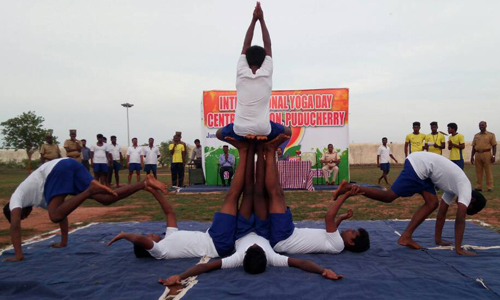 International Yoga Day was observed this year at Central Prison, Kalapet in Puducherry on June 21, 2017. The chief superintendent of jails (in-charge), Mr. Sakthivel, presided over the function and stressed on the pivotal role yoga plays which, he said, can be highly beneficial to humankind. He also added that regular practice of yoga makes a person disciplined and helps in improving all aspects of his or her life. Mr. Sakthivel thanked the efforts and support of Sri Aurobindo Society which via its Prison Reformation Project, Puthiya Nambikkai, has been conducting regular yoga classes in the prison. 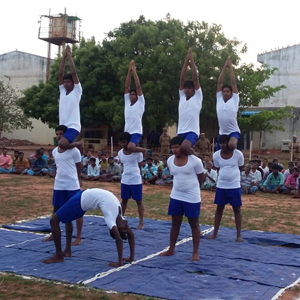 Mr. Neelakandan, yoga master, conducted the yoga sessions, while the inmates demonstrated yoga asanas. Medals were distributed to the participants and the session ended with the national anthem.